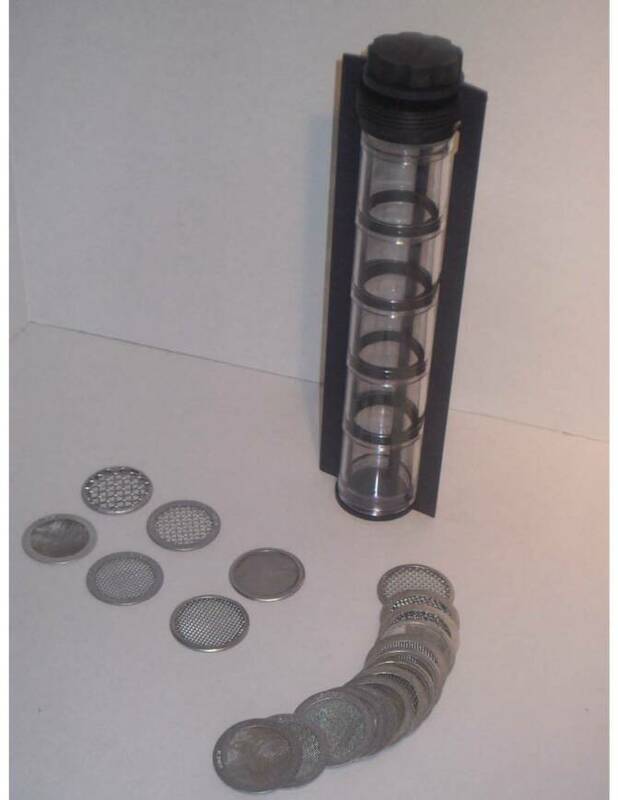 The Coffee Grind Sizer is a manual sieve kit designed to provide a quick visual analysis of coffee grind size distribution. It features twenty stainless steel screens including the standard coffee grind sizes, ranging in size from US sieve No. 12 to 50, plus an additional 14 sieves. 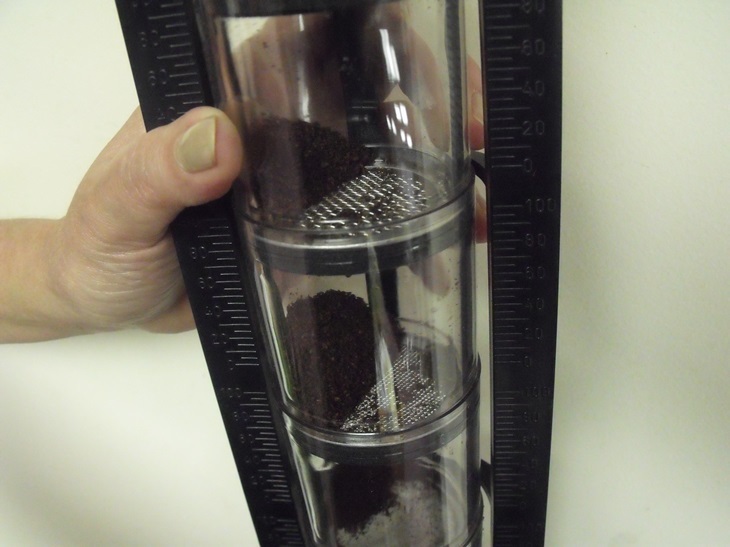 The sample is placed into the top of the five clear acrylic cylinders, then shaken to distribute the coffee particles. 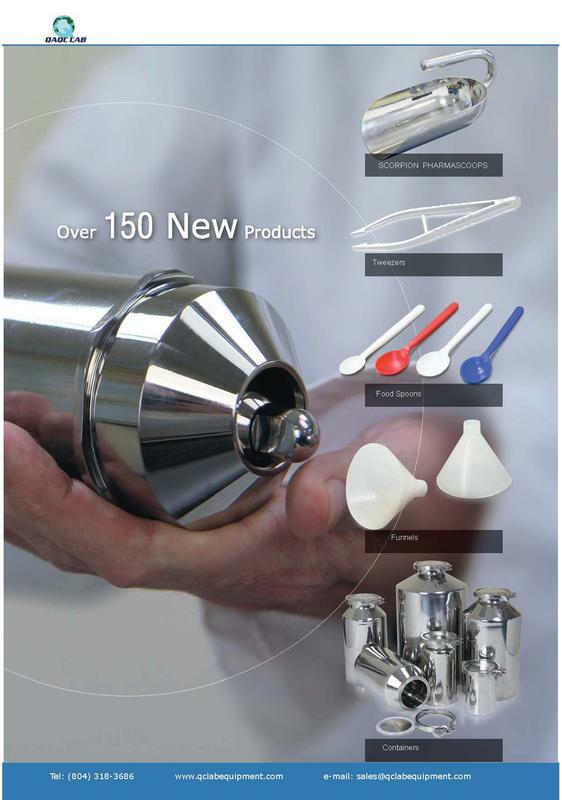 as this may cause bitterness, the Grind Sizer can be a useful tool, especially for use in remote locations and cafe's, where a sieve shaker isn't practical. Great for quick, on site analysis of coffee grinds.